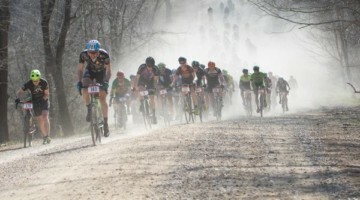 Sunday’s Paris-Roubaix was an emotion-filled day for cycling fans. The excitement of Peter Sagan’s (Bora-Hansgrohe) win in a thrilling sprint win over Stevan Dillier (AG2R La Mondiale) was overshadowed by the death of Veranda’s Willems-Crelan rider Michael Goolaerts on Sunday night. Goolaerts crashed midway through the race due to cardiac arrest and passed away Sunday night in the hospital. The passing of the 23-year old Belgian cast a dark shadow on what was a memorable race that highlighted the beauty and excitement of the sport of cycling. Michael Goolaerts was a 23-year old Belgian joining teammate Wout van Aert for their respective first trips into the Hell of the North. On the second of the 29 pavé sectors, Goolaerts’ heart stopped beating, and he crashed into a ditch along the road. Race medics administered CPR, and he was then airlifted to a hospital in Lille. According to a team statement, Goolaerts passed away Sunday night from cardiac arrest. Van Aert also wrote about his friend on his website today. Our Cyclocross Magazine team would like to express our condolences to Goolaerts’ family and everyone in the cycling community affected by his passing. Earlier in the day, the Queen of the Classics lived up to its billing with an exciting race won by one of the sport’s best. Heading into Sunday’s race, Peter Sagan had one Monument win at the 2016 Tour of Flanders and his best finish at Paris-Roubaix was a sixth in 2014. After a frustrating finish at the Tour of Flanders last weekend, Sagan was hoping to become just the fifth rider to win the Paris-Roubaix in the rainbow stripes and the first since Bernard Hinault did so in 1981. Sunday’s Paris-Roubaix was also the culmination of the #WoutWatch that began with the Omloop Het Nieuwsblad at the end of February and included a third at Strade Bianche and top ten at the Tour of Flanders. With only a short vacation with Stephen Hyde in November, Van Aert has been racing more or less non-stop since the beginning of September, so Sunday’s race marked not only the target of his spring campaign but also the last race before a well-deserved break from racing. Although it was nearly 100km from the finish, the 2.4km Troueé d’Arenberg helped kick off the meat of the action in Sunday’s race. A group of six riders hit the five-star cobble sector with about two minutes on the favorites group, but when they emerged from the dust, Dillier, Sven Erik Bystrom (UAE Team Emirates), Jelle Wallays (Lotto-Soudal) and Marc Soler (Movistar) were alone at the front. Last year Zdenek Stybar finished a tough-luck second for the second time in his career, and in 2018 was looking to capture a Paris-Roubaix win both for himself and the Quick-Step Floors juggernaut that has been winning race after race this spring. About 70km from the finish, Stybar put in a big dig to try to close to the lead group but abandoned the effort about 20 seconds short of making the catch. Next up on the attack was last year’s Paris-Roubaix winner Greg Van Avermaet (BMC Racing). Van Avermaet attacked at 55km to go, but Van Aert quickly jumped on his wheel and shut down the attack. Last week at Tour of Flanders, Peter Sagan struggled to find another rider in the favorites group willing to work with him. As the distance ticked down, Sagan launched an ill-fated solo attempt to bridge to the race leaders and went home with a sixth-place finish. On Sunday, the three-time defending World Road Race Champion decided to do things his own way. After Van Avermaet’s attack, Sagan responded with an attack of his own. Perhaps inexplicably (at least in retrospect), no one went with him. The World Champion was on his own trying to bridge to what was then a group of three riders at the front. Sagan soon made the catch and helped drive the pace in the lead group of four. Two of the three riders with Sagan dropped off, and at 25km to go, he finally found someone willing to work with him in AG2R’s Dillier. The two charged forward with about a minute on a small group that included Van Aert and Van Avermaet. If you were wondering if #WoutWatch was going to include the full Paris-Roubaix experience, the answer was yes, yes it did. With 17km to go, Van Aert was struck by the race’s notorious bad luck when his chain dropped in the Camphin-en-Pévèle pavé sector. While Van Aert got his chain back on, Van Avermaet and a small group continued on in an effort to close the one-minute gap up to Sagan and Dillier. Van Aert resigned himself to the second chase with Stybar and others. As the kilometers ticked down, Sagan and Dillier traded pulls while the chase group tried to cut down the gap second-by-second. With 10km to go, the duo’s advantage was down to 45 seconds. Cosmo Catalano’s commentary sums up how most observers likely felt during the race’s closing kilometers. (Cyclocosm is a personal favorite for witty and incredibly informative commentary on road racing and the occasion cyclocross race if you are looking for a good Twitter follow). Dillier turns and says something to Sagan, probably something like "dude pls pls pls don't drop me"
Inside 10km to go, the gap did not really get closer than 45 seconds and Dillier was right there trading pulls with Sagan. It became clear one of the two would win; the big question was when was Sagan going to attack and try to drop Dillier. Such a move would have made sense; Dillier was an accomplished track racer with several U23 world championships to his name, so with the finish in the Roubaix velodrome, perhaps his disadvantage against one of the world’s best sprinters would not be as high as expected. There would be no Sagan attack. The two entered the velodrome together and at the bell, Dillier led while Sagan gamely sat on his wheel. Although Dillier was the man with more track experience, Sagan got the jump on his rival. Before the Swiss rider could make his move out of the last turn, Sagan divebombed off the top of the track and entered the finishing sprint at full speed. There was nothing Dillier could do to counter. Peter Sagan had finally won the Paris-Roubaix. congrats @petosagan for a strong win at @Paris_Roubaix. you are angel and devil in the same person. without you i wouldn’t have made it up there into the velodrome, but it’s so hard to beat you in the sprint! For more, check out interviews by Cycling Pro Net with the winner Sagan and American standout Taylor Phinney. See below for results and a highlight video that includes the thrilling finish in the Roubaix velodrome.